A little while back I wrote a blog post about shooting a portrait of a cyclist using neutral density filters. The portrait just happened to be a secondary shot the day of the shoot. The main shot that I wanted to get was more of an action shot that I could use to build into a composite image. Well I’m finally getting around to posting that completed composite. Much of the lighting was I used was similar to the lighting used in the neutral density portrait as well as some of the other more recent composites I’ve shot. Thanks for checking it out. 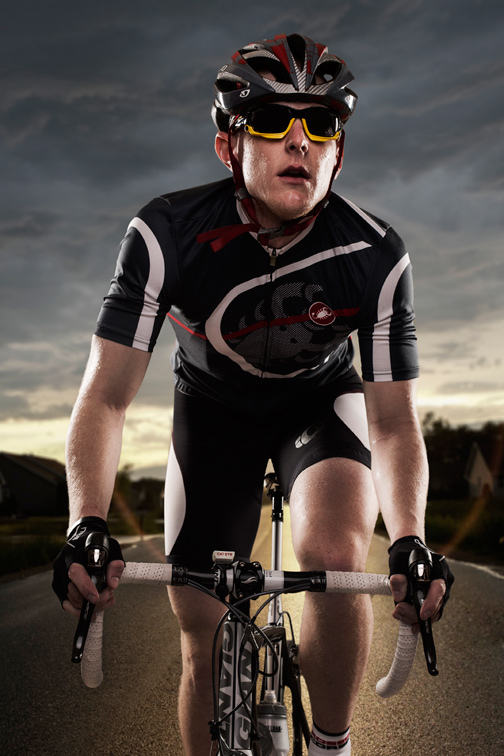 This entry was posted in Lighting, Photography and tagged bicycling, canon, canon 5d, composite, creative light, cyclist portrait, elinchrom, photography, portrait photography on October 15, 2013 by ludtkephoto.